Rewind time 100,000 years ago: several different species of humans co-exist on earth.There was, of course, our own species, Homo sapien, but we were joined by our more athletic siblings from the Tree of Life, Homo erectus, who had left Africa and colonized Asia long before we ventured beyond the mother continent, all the while another sibling, the stocky Neanderthal, was hunkered down in a European ice age. Advance another 90,000 years, however, and our species is the only game left in town. Scientists have worked hard to figure out why we survived while other early humans did not. The answer to this question lies at the core of our species’ story, but it also provides insight into a topic of significantly less importance on the grand scale, but nonetheless one that haunts many of us in our everyday lives: procrastination. Complex planning is a subtle skill: it requires you to both conceive of future steps and evaluate whether these steps are a good idea. Sharpening a spear and charging a mammoth, and sharpening a spear and throwing it at a mammoth from a distance, are both complex plans. 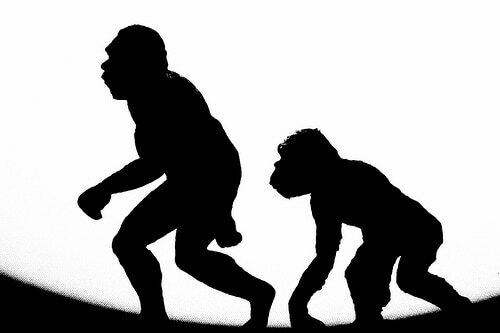 Early Homo sapiens could not only conceive both plans, but they could also notice that the latter plan, with its much reduced risk of trampling, was the better choice. Scientists now recognize that this skill is one of the key reasons we survived while Homo erectus and Neanderthals did not. It also, as I hinted above, teaches us something interesting about procrastination. Fear (of both success and failure). We think our work is of low quality. I’m sure these can all play a role in procrastination, but in my experience there’s a fourth reason that’s significantly more common: your brain doesn’t buy your plan. Let me flesh this out. Assume you’re a student who feels a strong urge to put off studying for an exam. The first question to ask: What is your plan for studying? Most students don’t put much thought into their study habits, so your plan is likely vague and haphazard, rife with distraction, pseudowork, and passive review. Here’s the second relevant question: What does this rejection feel like? Complex planning is a pre-verbal adaptation, so it’s not going to manifest itself as a voice in your head exclaiming “plan rejected!” Instead, it’s going to be more intuitive: a biochemical cascade designed to steer you away from a bad decision; something, perhaps, that feels like a lack of motivation to get started. If this explanation is true, then you would also expect that students with smart study habits to struggle less with procrastination. This is exactly what I observed when I studied elite undergrads for my red book: only a small minority of the fifty hyper-organized students I interviewed reported procrastination as a serious problem. In this telling, procrastination is not a character flaw but instead a finely-tuned evolutionary adaptation. You shouldn’t lament procrastination, but instead listen to it. Treat it as a sign that your skills as a student need more work. This evolutionary perspective on procrastination applies beyond students putting off school work. It also helps explain deep procrastination: a sinister variation of this trait that causes students to lose the will to start any work. As I’ve argued, deep procrastination afflicts students who are suffering though hard course loads without a strong sense of why. 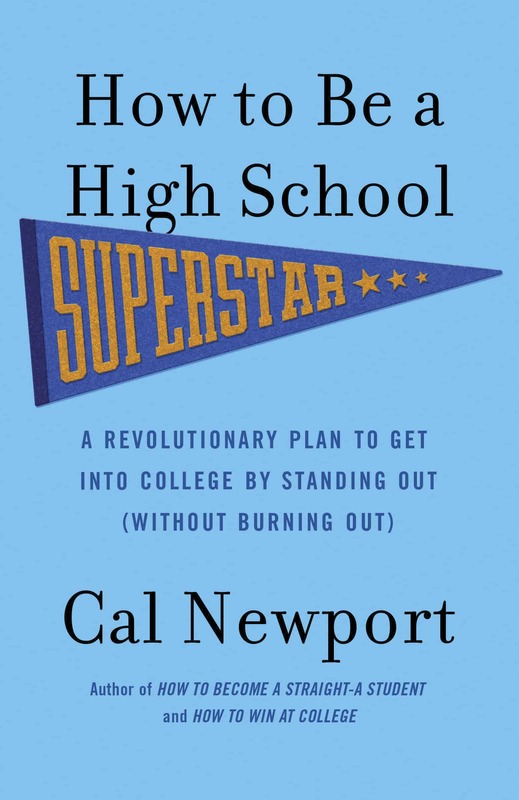 In other words, deep procrastination can be seen as a rejection of a plan, but this time the plan is on a larger scale: your grand narrative for why you’re at college and how it will help you live a good life. This perspective also helps us cope with procrastination beyond graduation. Why do we delay on ambitious projects that could change our life for the better? The common explanation from the blogosphere is because we’re afraid of failure and lack courage. The evolutionary perspective on procrastination, by contrast, says we delay because our frontal lobe doesn’t see a convincing plan behind our aspiration. The solution, therefore, is not to muster the courage to blindly charge ahead, but to instead accept what our brain is telling us: our plans need more hard work invested before they’re ready. These topics are deep and I hope to address them in more detail in the near future (this post is the first of a several in short summer series I have planned). For now, I want to leave you with the general idea that procrastination is not your enemy. It is instead a constructive source of criticism — a voice from our paleolithic past telling us that although it likes our goals, we need to put a little bit more thought into how we’re going to get there. If this warning system was good enough to prevent mammoth trampling, it’s certainly good enough to help you finish your term paper without pulling an all-nighter. Interesting post, quite insightful, like all your posts. Your position is quite unique and it seems you’re on to something regarding procrastination. My immediate thought was “yeah right” though. How is procrastination a warning system if it prohibits us from getting good things done, things that need to get done? I hope you keep writing on this topic, I am interested in hearing more! p.s. Cal, thank you you for all your work on this blog. It has been a great help to me. Looking forward to more posts. Nice idea, but I wonder if it presents intuition as a more rational and considered process than it is. Another way you could conceptualize the process for intuitive ‘rejection’ of a plan is that the outcome is simply assessed to be uncertain. That is, rather than carefully evaluating the alternatives and coming up with the answer ‘this will not work’, the process is that we ‘know’ there are multiple possible outcomes and that it is not simple (i.e., its too hard) to determine which is the most likely. The result could therefore be a form of analysis paralysis that manifests as a lack of motivation to perform the tasks required to achieve the plan. From an evolutionary perspective this could preserve energy and divert it toward activities with more certain (tried and true) outcomes. High performing students may have fewer issues with procrastination when it comes to study because, for them, the outcomes are much more certain. Indeed, they are a biased group because they were selected based on the fact that study, for them, has consistently been rewarded with success. In a sense, their intuition has been superseded by empirical evidence. Enjoyed the overall idea (procrastination stems from a lack of planning) but the proposed link to evolution is highly suspect. The link to evolution looks like something you have thrown in there to make your post more sensational. I’m pretty strongly on the line that we procrastinate because we erroneously believe that academic failure will mean that we are total failures as human beings, but the lack of planning seems reasonable too. But I don’t see how it is that different, as both are the result of our brain telling us that the risk of failure is too high. If we have a good plan in place, it doesn’t decrease the harm that could occur to us if we fail, but it does decrease the potential that harm will occur, making doing the work less threatening. Even if you have a fantastic plan though, you still have yourself convinced that you’re facing a mammoth. Which you are definitely not. While it might be a large inconvenience failing an important paper, even if you drop out of university, you’ll most likely still be alive. Wow, Cal, this is very insightful! I’ve been struggling writing an article I have in mind and I’ve literally put it off for about a month now. What you just described is exactly the reason why it’s been so hard to get started. Thanks for the post and I look forward to the procrastination series! This post resonated with me. I procrastinate from time to time, but my motivations do not always fit into the three categories listed here. Sometimes I find myself procrastinating because the task ahead seems unmanageable and I do not know where to start, in line with your fourth motivation. I am going to try to regard procrastination as an indicator that I need to change my approach in the future. I think this would make procrastination seem less inevitable, discomforting and something that can be actively reduced. Insight comes from deep thinking, and deep thinking often requires someone to propose a novel theory. You’ve done a great job of that here, and by doing so, you’ve made me think. That is pretty awesome and doesn’t happen every day. Props to you. This is silly. Students procrastinate studying because it’s boring. Your hyper-organized students didn’t procrastinate because they *enjoy* studying — and they enjoy studying because they enjoy organization (that’s why they’re hyper-organized). Students who really enjoy a class won’t procrastinate studying for it even if their study plan is just as haphazard as their study plans for classes they don’t enjoy. People who procrastinate life-changing decisions do so more out of inertia than real fear. Maybe I’m not your target audience but none of what you said makes any sense. There is no complex evolutionary reason for procrastination. People procrastinate simply because they don’t like the work and see no benefit in doing it and for good reasons I might add. Educational institutions provide a poor substitute for real life incentives and motivators so it’s not very surprising when students see through the charade and don’t do the work. There is no need to bring evolutionary psychology into this. Regular psychology is good enough. may i have a guestion? i am trying to understand people in terms of argumentation…the guy who wrote the article gives a sound argumentation. what you are saying is basically nothing – rejecting his nicely written piece by saying its bulshit. so my guestion is – based on what are you so confident and what are you arguments? are you a scientist or someone who acrually has deep knowledge in the topic? I apologize. In my last comment, I meant to refer to David, not Andy. I follow this blog since oct 2007 when I traveled to USA and found your red book, and this is the most original and thought provoking post I’ve seen in this blog, and look this blog has it’s collections of great post!!! I’ve already lebelled it as best of the year in Evernote and shared with my best friends!! Cal, a very insightful analysis. This definitely comports with my experience of procrastination. Anyone who has experienced an ‘aha’ moment can attest that motivation presents no barrier whatsoever when you are absolutely certain of the correct course of action. However, your analysis leads equally well to another conclusion. It may be that you lack confidence in your plan, but it may also be that you lack confidence in the value of your intended goal. Perhaps instead of hunting mammoth you should be planting fields of wheat! If that is the case, a better plan (or execution skills) will not resolve the matter. In fact, if better planning and execution skills lock an individual further into the predetermined course of action, then that individual may procrastinate when it comes to acquiring those skills as well. Actually, Fossil records show that Neanderthals had larger brains than modern humans. The second part of this para stands though. I really enjoyed this post, Cal — thanks! For anyone looking for more information on procrastination / techniques to overcome it, I would highly, highly recommend Prof. Tim Pychyl’s “iProcrastinate” podcast, and his related blog on Psychology Today — Tim is a research psychologist specialising in procrastination, and has a real gift for clear explanation. One of the things I’ve learnt from his work is that procrastination can stem from a huge variety of causes, and that there are different approaches that can help to either overcome it, or understand it, depending on the underlying cause. 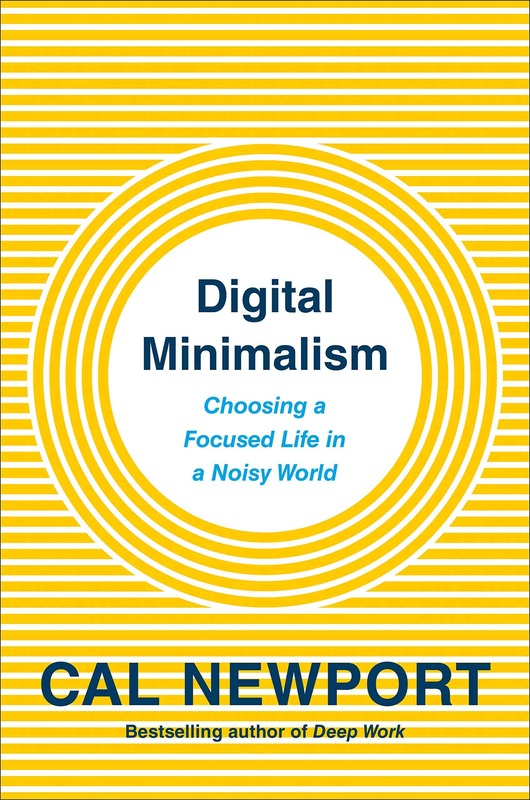 He is also particularly interested in procrastination as an existential issue, which seems to me to relate to Cal’s concept of “Deep Procrastination”. I really love your post and I’m sure your idea will resonate with some people. For me, I have learnt over time that I procrastinate simply because I lack energy. Whenever my energy is up, I have no problem finding the motivation I need to make progress on any plan, idea, assignment or errand. I know not everybody experiences this and may be there are people who can motivate themselves by seeing procrastination as their brains warning them they”ve got the wrong strategy. These are all useful comments. I should add a caveat that I cut from the post for the sake of concision: I’m not a big supporter of evolutionary psychology, and don’t necessarily believe that the evolutionary explanation provided in this post is true in an actual, testable, scientific sense. But I’ve found in my speaking that it provides a nice way of presenting a phenomenon I that I have observed among students, and that I do think is true (even if I don’t know the specific neurological causes). In other words, it’s the effect I’m describing much more so than the causes that interest me. I think the second part of Shea’s quote was meant to contradict the first part. That is, he’s saying that people think brain size matters, but it doesn’t. For me, I have learnt over time that I procrastinate simply because I lack energy. I’ve noticed that as well. A nice controlled experiment is working on the same project but at different times over a few days. When I do so, I find the after lunch work always less motivated than before lunch, and so on. This probably dovetails nicely with research I’ve written about a while ago about the role of blood sugar, etc., in will power. Interesting indeed, but what about a 5th option, the student doesn’t buy into the test itself. I think for it to count as procrastination you have to want to complete the task you’re putting off, otherwise it’s just deciding not to do it. Students procrastinate studying because it’s boring. I’ve definitely seen this effect among the students I work with. Especially at elite schools were perfectionism is more common. But I’ve also found that it’s relatively rare — that is, it’s not the main cause of procrastination. Insightful Post. I can personally state that I have experienced this fourth option you’ve discussed frequently. My reasoning is that I read and read theory that when I’m presented with an assignment it is difficult to not go so many different places… and my procastination is a by product of my “complex planning mechanism” saying no focus=no action. Another thought that came to mind is that another “reason” for procrastination is mindset. Growth Mindset vs. Fixed Mindset as described by psychologist Carol Dweck which simply states that folks in the fixed state have a tendency to procrastinate because they believe any positive or negative evaluation is a complete description of their identity. The existential argument is a strong one too. I would be interested in exploring that concept further. You just nailed my biggest problem that I didn’t even realize was an issue. Thank you. This insight can really turn my perspective around. This sort-of fits in with an explanation for procrastination I read a while ago. This was along the lines that procrastination is a delaying tactic that buys us some time to get our heads around the problem better. (This is instead of rushing in and doing something before we have really understood the problem.) Interestingly there is a recognised phenomenon in problem solving called premature closure (I think) which exactly describes this. The problem with this if we don’t take the opportunity to think more deeply about the problem and just forget about it. Then we might end up taking action hastily anyway as we have run ourselves out of time. The “paralysis of analysis” another poster referred to is another possible outcome. I tend to agree with the posters who feel that procrastination is a means of avoiding something we feel is going to be unpleasant (emptying the compost bin, filing etc.) This is certainly how it is for me. But others may have different experiences. Wow. I’m a huge advocate of evolutionary psychology, and even base my life philosophy around it. I was pretty excited when I saw you use this as a theory. I’ve read somewhere that we procrastinate because our primal brains are just not used to the farfetched predictions of the future. They had to carpe diem and live in the moment with two simple things: survive and reproduce. They’re too busy running away from animals and getting food to survive. No time to ponder. They didn’t think about 10 years from now, or what career and job they’ll get and their plans for life, unlike now, in our modern society where everything is planned and you had to think about college admissions and retirement plans. Guess this is modern natural selection: who has the greatest sense of the future? I’m pretty sure you or someone else’s blog linked to a place they talked about procrastination and dopamine. The primal brain just can’t recognize the distant awards in the future, so no dopamine, no motivation/desire. I’m surprised evolutionary psych isn’t as popular… Probably because it’s a little too nihilistic and the mass think in a humanistic mindset. I never would have thought about procrastination that way! It makes perfect sense, though, because my procrastination lasts only as long as I wait to form an attack plan, so to speak. If I have three projects I need to do, I’ll quit procrastinating on all of them once I decide on which one to do first for whatever reason–it will take the least amount of time, it seems the least interesting so I want to get it out of the way, etc. Once I can break the whole endeavor into smaller, more accomplish-able pieces, the procrastination lessens and each part goes by faster. Procrastination may be better described as a habit we default to when we don’t have a plan. Having the plan provides us with a chance to override the habit. No plan or no good plan would not then override the habit. Passive review as an example could be understood as a habit defaulted to when there is no study plan. Mind Blowing Post, It seems that this was written just for me. I am facing a very difficult decesion in my life and have been putting off taking action on this for the last 6 months due to some or the other reason and your post has shown me the actual reason for this inaction of mine is a warning to rethink on my reasoning and expected result of the decesion. I agree with you that the thinking has to be clear before we can act, then our motivation will be 100% and our effort will also be 100% and the goal is easy to achieve. Thanks for this post, waiting for your next post to see how u take ahead this thought. Enjoyed this post. I teach gifted students, several of whom have exhibited the deep procrastination your mention. The “why am I doing all this work anyway” thought process, whether conscious or unconscious, certainly plays a role. As you mention, for students this means they need to examine their plan and direction – if they are old enough or self-reflective enough to do this. For educators, this seems to demand an increased need for required schoolwork to be relevant and directly related to their current, and very real, life. Otherwise, how can they possibly develop the “deep interests” that you talk about if they can’t ever see the practical and touchable applications of the classwork content. Thanks for sharing. Looking forward to the rest of this series. The reason that planning cuts procrastination is because it allows you to break down what seems painful and overwhelmingly impossible into small, doable chunks. You eliminate a sort of back burning “Rush! Rush! You’ll never get through it all!” and so feel that you have the time to stop beating your head against the wall if you don’t understand something. It’s alright to dig slowly for the deeper misunderstanding. I have always had issues following through with the things that I really wanted to do. I am NOT a procrastinator by nature – I have always been motivated. Somehow, something was blocking me, and I ended up discovering it was either – hypoglycemia, anemia, or chronic fatigue syndrome. I simply don’t have the energy to do the things that I otherwise would not waste a second procrastinating on. I went to the doctor, and my blood test results come in this week, and I’m looking forward to some solutions there! Nothing more frustrating than being “forced” to procrastinate. Great post, Cal! This is a great post, Cal, and it’s really got me thinking. I agree that procrastination has value, but I’d argue that the 50 elite students are elite because they’ve formed habits to keep themselves moving forward. I also think it’s hard to pin down everyone’s reason for procrastination. As an academic life coach, I see lots of students who have very different reasons for not getting their work accomplished. Sometimes it’s because they don’t like being pushed by their parents. Sometimes it’s because they don’t know how to do it. Sometimes they don’t have a good enough system (or in terms of this post a good enough plan). What I really, really like about this post is that it shines a light on how procrastination can be a good thing and to listen to that little voice. I also know that there comes a certain time when it’s time to set that voice aside and just get down to business. Again, a wonderful post, Cal. July 26 is the first day of the bar exam. Some candidates who believe their plans are faulty or inadequate have lapsed into such deep procrastination they want to withdraw from the exam. Add to the feeling of bad plans the pressure for speed, throw in a little guilt, and absolutely nothing happens. “Just prepare to go in and do as well as you can,” is too weak a motivator. Meanwhile, there’s procrastination lite. An earlier commenter mentioned filing. I have a great plan for the filing I must do myself, but as long as I can do anything else, and as long as the piles of paper don’t threaten to topple over and crush me, I won’t file. I have to write filing into my schedule like a dentist appointment. Are you aware of the research done on procrastination by Sean McCrae at the University of Konstanz in Germany? Dr McCrea and his colleagues conducted three separate studies. First they recruited 34 students who were offered €2.50 ($3.30) for completing a questionnaire within the subsequent three weeks. Half of the students were then sent an email asking them to write a couple of sentences on how they might go about various activities, such as opening a bank account or keeping a diary. The others were asked to write about why someone might want to open a bank account or keep a diary. For their second study, Dr McCrea and his colleagues recruited 50 students, who were offered the same sums and timespans as the first lot. Half of these students were asked to provide examples of members of a group, for example, naming any type of bird. The task was inverted for the other students, who were asked to name a category to which birds belong. Those who were presented with concrete tasks and information responded more promptly than did those who were asked to think in an abstract way. Moreover, almost all the students who had been prompted to think in concrete terms completed their tasks by the deadline while up to 56% of students asked to think in abstract terms failed to respond at all. So there’s a good reason why people find trivial tasks like cleaning the desk or sorting through papers to do in place of starting that summative planning document! Give me the summative planning document. Terrific challenge. Cleaning the desk? Easy to work around. Feels like a waste of time. Boring. So moving from identifying the issue to actively correcting it, would this framework do well, Cal? 3. Odds are there is no plan. So, it’s time to plan. Either you know the steps in a big, vague jumble and haven’t broken them down yet, or you don’t know the steps at all. > “What is the step immediately before this? Instead of wigging out about it, do what top people like Ramit Sethi, Noah Kagan, Andrew Warner, and Tim Ferris do when undertaking a new venture: Create a “thesis”, then test it. > Basically use the above process to estimate a your best plan. > Identify someone successful at what you want to do, and ask them for their feedback. > Apply their feedback to your plan. I think your spot on with this theory! I often feel the pull of procrastination magically dissipate when I FINALLY come to grips with a sound plan of attack…and not until then. I always attributed it to being easily overwhelmed, but that train of thought lends itself to self-loathing which makes the urge to procrastinate worse. Your perspective gives me another way to think about it at the very least. I always manage to push through, but agonizing through just to get to that that point takes forever! I’m going to try zeroing in on the best plan of action right away the next time I feel that inertia gnawing at me…you’ve given me great hopes for short-circuiting the insidious pattern! mwa-ha-ha! Thanks for the continued thought-provoking posts and best wishes for your new job! Procrastination seems to be a hot topic amongst behavioural economists at the moment. Hi Cal, great post and an interesting idea! From my personal experience (as a student and a dedicated procrastinator for many years) I find that procrastination is rooted in a lack of self esteem. I have recognised in myself and some of my fellow students that often times fear (of failure, of success, of not producing a good enough paper, of disappointing yourself/others, being a fraud etc) and lack of self belief or self esteem leads directly to procrastination. In trying to avoid the situations we fear the most we directly bring them about. For example, the fear of producing a crappy essay and getting a bad grade makes us put it off and off until there is too little time to complete the essay, we end up writing rubbish at 2 in the morning and getting F anyway. This is, in my opinion, where procrastination gets super scary because it feeds into a cycle whereby that image of yourself as an underachiever is validated and in an effort to avoid feeling that failure or disappointment again we procrastinate on the next assignment and the next. 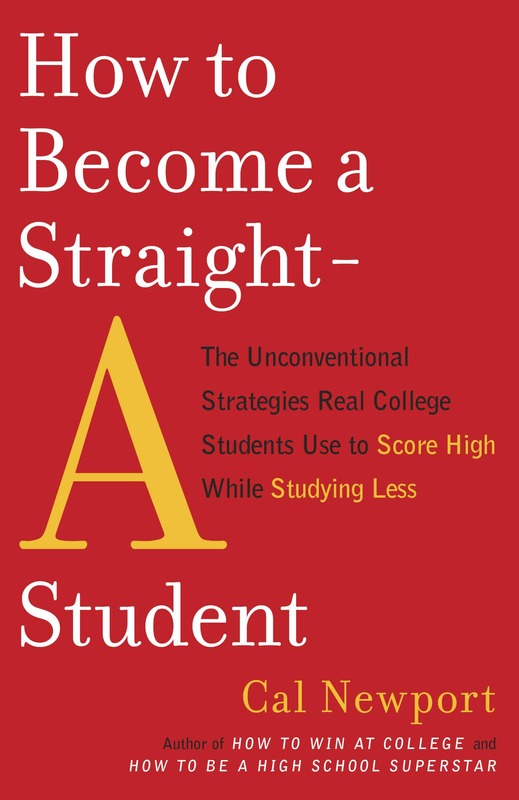 As I said this is all just my own experience but I think that students who experience a reality in which they are successful are less likely to procrastinate. I make an effort to get as high a grade as possible in the first assignment of the semester because it means that I feel confident in my ability to produce good work on the next assignment (my brain buys my plan). When success is my only point of reference I don’t feel the fear that leads to procrastination, I start early, enjoy my research, get a good grade and so begins a positive spiral as opposed to a negative one. Happy Days! 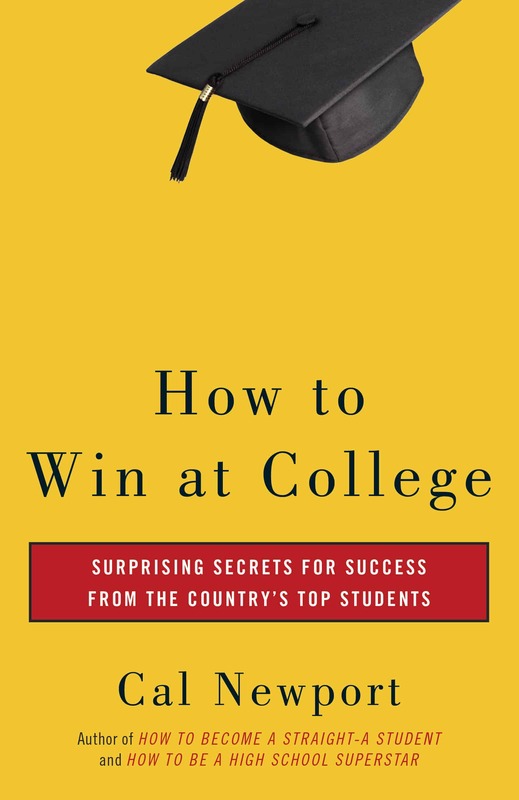 Your elite students are probably on a similar upward spiral that grows and grows and they will undoubtedly achieve anything they want because they know from their experience that they can. Cool perspective. However, I think trying to come up with a single reason for why someone procrastinates is problematic. I think there are many reasons, and why someone procrastinates can be due to any combination of these different reasons. I loved this post and, after mulling over it for a while, began to sense it may have some relevance to my writing life as well. Looks like someone beat me to punch over at http://fictiongroupie.blogspot.com/2011/07/there-is-no-such-thing-as-writers-block.html#disqus_thread. I wonder if you’ve found this to be true with your books–they aren’t fiction, obviously, but perhaps outlines help eliminate a subconscious lack of confidence in writing. Interesting! Basically, a very well articulated and referenced explanation of my personal experience of procrastination. Except I think it’s not just the quality of the plan, but also the worthiness of the goal, that are important. Planning actions better (in particular, such that they are convincingly linked to motivators) always solves procrastination. Do others suggest more courage is the answer? There can’t be much evidence for that, surely? Well I am impressed. Whether the ideas of evolution etc are correct or not, they do let me see the mammoth ideas, as an example. I need to plan and never do, I struggle with everything and feel like quitting every week as its just so dam difficult to attain this degree. Pingback: Turning your Kryptonite into Sunlight | Heart's Breezing! Good article. It reminds me of something I learned while watching my cousin train his dog. Learning to playing fetch, the dog had excellent focus on the ball, was excited and motivated to get the ball, and did very well. Later, my cousin was having trouble getting the dog to roll over. He kept saying “roll over, boy” and he knew that the dog had the ability to roll over, and just thought the dog was too stupid to get the treat. But I could see in the dogs eyes, this look… “why?”. He knew deep down that rolling over had no purpose, and that getting the ball was fun and awesome. The dog didn’t “buy his plan” that rolling over was a cool trick. Sometimes, as humans, we decide with our pre frontal cortexes to do something that deep down we don’t really buy into. The result is an intuitive, biochemical cascade that is designed to steer us away from a bad decision. This seems like a lack of motivation to the analytical part of our brain, but sometimes you have to trust your gut.